Lest you think Occupy is over, Oakland's The Coup will perform tonight with nine other bands in the streets of downtown Austin as part of Occupy Southby. Tonight at 12:45! The Coup will be live in the street w #OccupySXSW. Meet at 4th and Lavacca. The show will be traveling. Let's do it. Oakland's Wax Idols was included in a New York Times article about the festival's punk leanings. Religious Girls repaired its van and made it all the way to Austin from Oakland to organize its annual, unofficial Wendy's parking lot show. WE PLAY IN AN HOUR AND A HALF BEHIND WENDY'S DOWNTOWN SXSW. GET. THERE. NOW. LA/SF band The Blank Tapes charmed NPR pop critic Ann Powers. 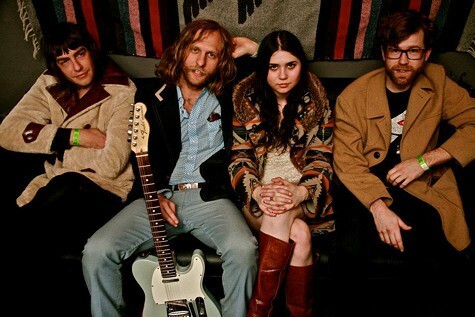 LA/SF garage rock outfit The Blank Tapes. Brooklyn post-punk slackers DIIV surprised many with this rant. And, if you think DIIV was being dramatic, nibble on these tweets about LL Cool J and Ice Cube's set last night on the Doritos Bold Stage. The fact that #llcoolj is playing a #Doritos stage right now at #sxsw makes me wonder what the hell happened to that festival.